The annual OPAL Conference is hosted by a member institution each August. Many initiatives and long-term professional relationships have been forged over the years as we meet to connect, share research, best practices and problem solve among not-for-profit, private academic libraries. Members also enjoy opportunities for face-to-face conversations and a supportive, collegial atmosphere in a variety of formal sessions and informal social events. Non-members are welcome to attend the conference and submit presentation proposals. Engagement and Collaboration: What More Can We Do? Clickable links open the conference page. When available, presentations can be accessed through the individual conference program/schedule pages.  Presentations and conference planning documents older than 5 years may be found in the OPAL Repository, which is accessible to OPAL Members. To submit past presentations for inclusion, fill out the permissions form (1 for each author with the same permissions for all) and send a copy of the presentation to heidib@ohionet.org.